As leaders in providing the best possible quad biking for our customers, we offer you the best woodland course in the region, in the shape of our activity centre at the beautiful Hazlewood Castle in Leeds. 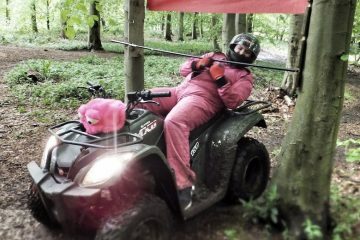 On this testing terrain, you’ll find twists at every turn and mirth in every mudsplash. We’ve never looked back in terms of making our sessions bumpier, safer and more fun-filled than ever before, so that you can look forward to a wonderful woodland experience. Book with Live for Today, and after a full safety briefing from our highly qualified instructors, you’ll get familiar with the best bikes to experience new adventures, epic challenges, steep hills and nature’s thrills. 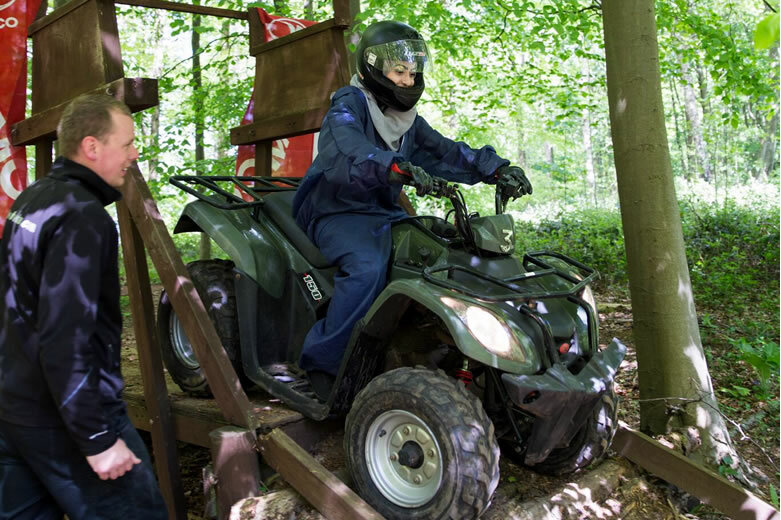 When it comes to an unbeatable woodland quad biking experience, we guarantee you’ll have so much fun that you’ll join the ranks of the countless customers who book onto this experience – our most popular activity - time and time again. 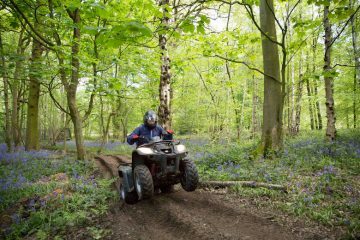 Our centre at Hazlewood Castle in Leeds (LS24 9NJ) boasts 70 acres of woodland split over two circuits. 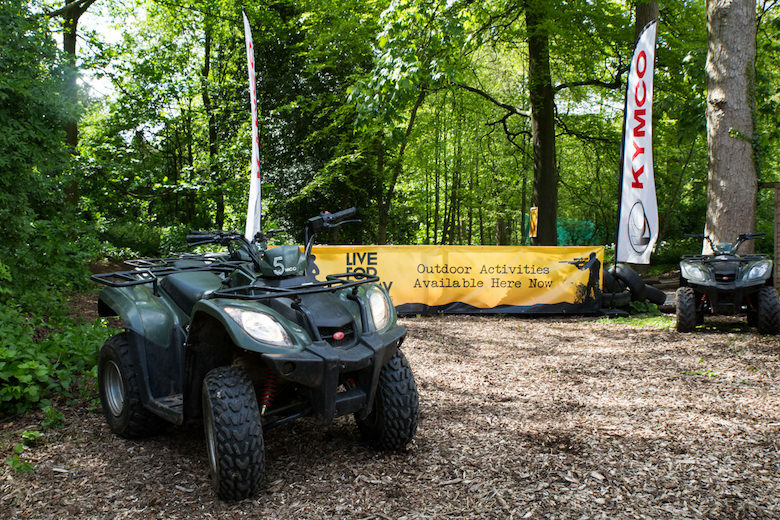 After a full briefing, familiarisation with your new Kymco bike, and a quick warm-up lap, you’ll head out onto our challenging circuit, where you’ll have to navigate tight turns and tricky tracks. 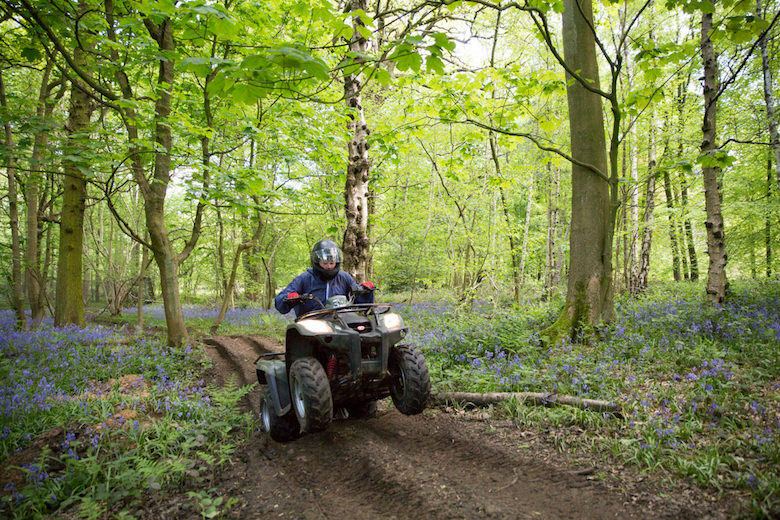 You’ll get a full 30 minutes of quad biking fun during your session, and though time will fly, you’ll experience all that our 70 acres has to offer. 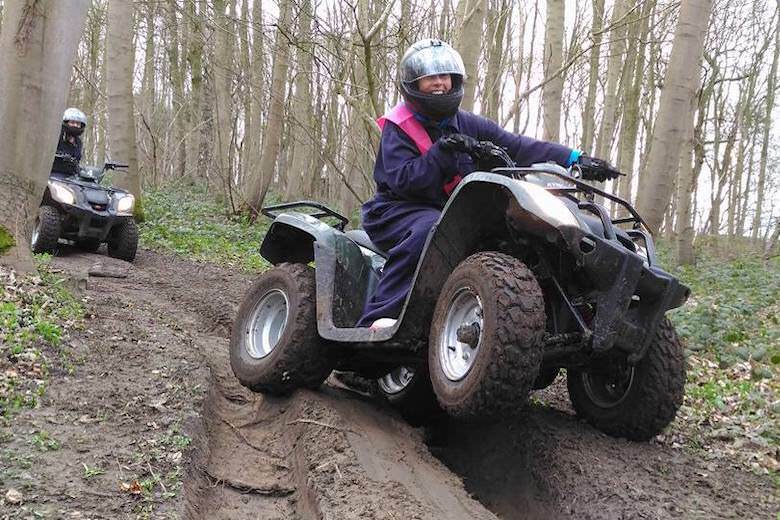 With fast straights, technical corners and ‘hold on to your helmets’ hills, it’s no wonder this experience is rated 5 stars onTrip Advisor. If you’re feeling extra adventurous, then our upgraded package is for you. 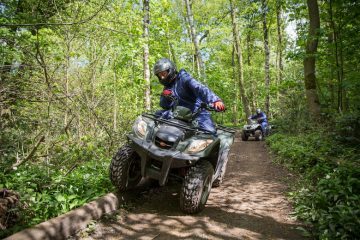 For only £10 more per person, experience everything from our standard woodland quad biking package – but for longer! 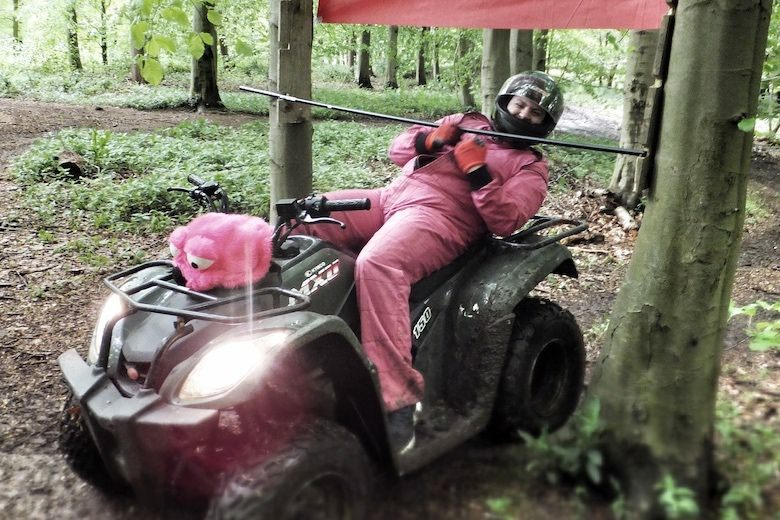 "There were 14 of us doing the activities for my mate's stag. 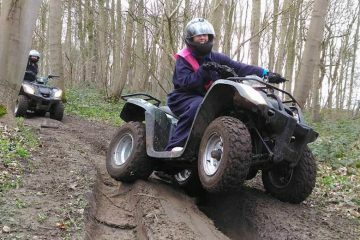 The quad biking is great, challenging course and good fun. The air rifles are excellent too... 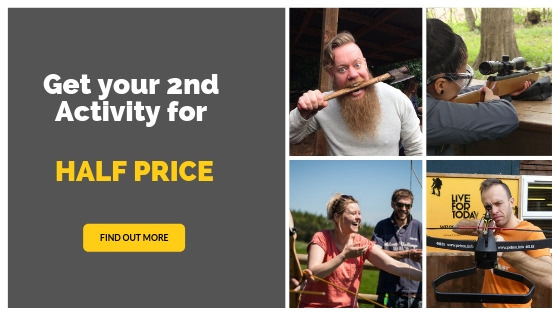 The axe throwing is just mad, definitely worth giving a go..."
At the Hazlewood Castle location (Leeds / York) we can take big groups of upto 10 people out at any one time.